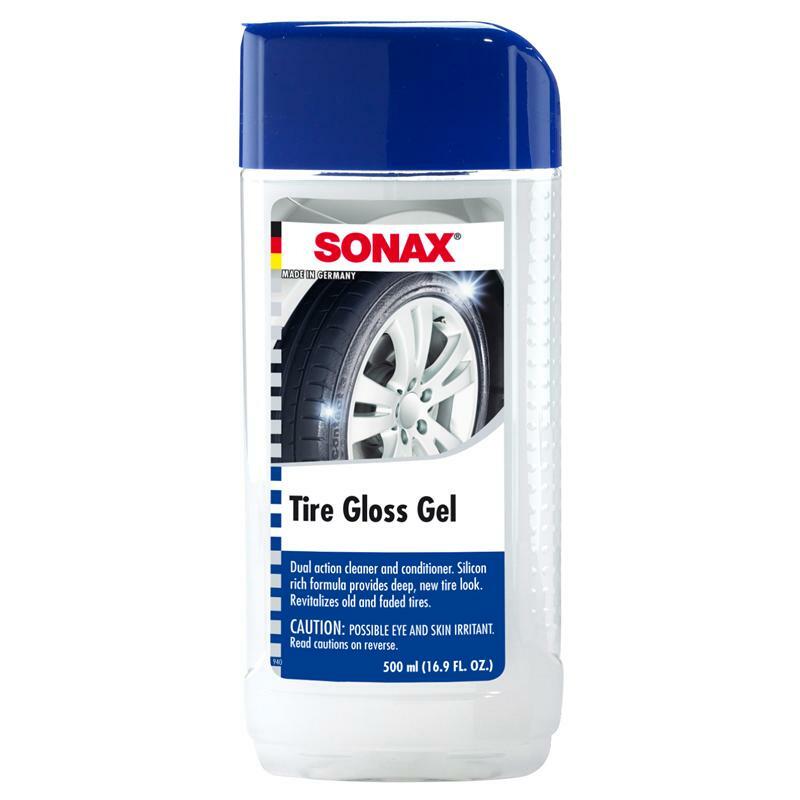 SONAX Tire Gloss Gel is an all-new tire restoration and conditioning formula from the chemists at SONAX. The innovative gel formula penetrates the tire surface hydrating and revitalizing the rubber. SONAX Tire Gloss Gel is rich in specially engineered silicon, achieving an intense, semi-gloss with a fresh, clean showroom shine. Each application lasts for several weeks. One bottle of SONAX Tire Gloss Gel is sufficient for up to fifty (50) tire applications.